Tickets are on sale in the Main Office. Divine Mercy Middle School and Bishop McCort High School students have participated in the First Annual Altoona Johnstown Diocese Art Show, “Divinely Inspired Art Show.” Over 12 schools within the diocese and over 5 counties participated in this event. Twenty-two DMCA MS and BMHS students participated, with 10 students winning 1st, 2nd, 3rd, or an Honorable Mention. Bishop McCort was the most awarded high school within the diocese. 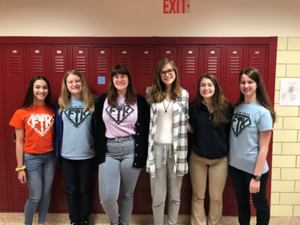 The following students placed for the artwork they have created: Lauren Mucciola (2nd Place), Jessie Yarner (3rd Place), Emma Michlena (Honorable Mention), Annah Lovette (3rd Place), Isabella Gaborek (Honorable Mention), Missy Murin ( 1st Place), Annah Gritzer (2nd Place), Alaina Zasadni (3rd Place), Lydia Sorchilla (Honorable Mention), and Rachel Nagy (Honorable Mention). The reception and awards ceremony will take place on Sunday, February 24th from 1-4 pm. The Fine Arts Department preformed Christmas music at The Russell House, Ameriserv, Laurel View Village, and Valley Pike Manor as a way of spreading holiday cheer for many in the Greater Johnstown area. ***THEATRE PRODUCTION CHANGES*** The Worst Talent Show...Ever! The Bishop McCort Fine Arts Department would like to welcome everyone to a night laughs and delicious hors d'oeurves as they will be performing "The Worst Talents Show...Ever!" Location: Guzzi Performing Arts Auditorium on the campus of Bishop McCort Date/Time: November 17th and 18th 7:00pm and 6:00pm respectively. Cost: $10/adults and $5/students Tickets available in the Main Office and also at the door. DRESS REHEARAL will now be held on Saturday, November 17th from 2:00pm-5:00pm, there will be pizza provided for those students involved in the production after dress rehearsal and before the first performance. 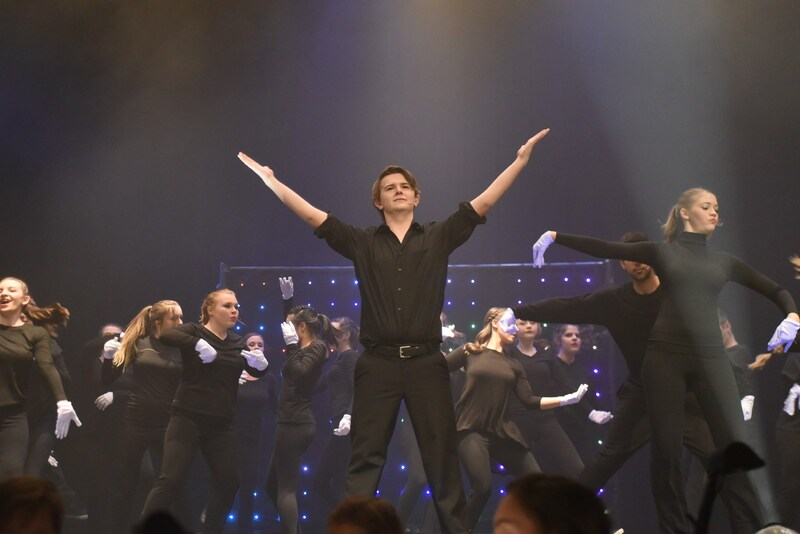 The Bishop McCort and Divine Mercy Fine Arts Department held their annual Spring Concert on April 24th in the Guzzi Performing Arts Center on the campus of Bishop McCort Catholic High School. The evening included Guitar, Chorale, Strings, and Band Selections with students from both Divine Mercy and Bishop McCort. The musicians who preformed where in grades 4 through 12. Congratulations Cast and Crew on Another Wonderful Show! 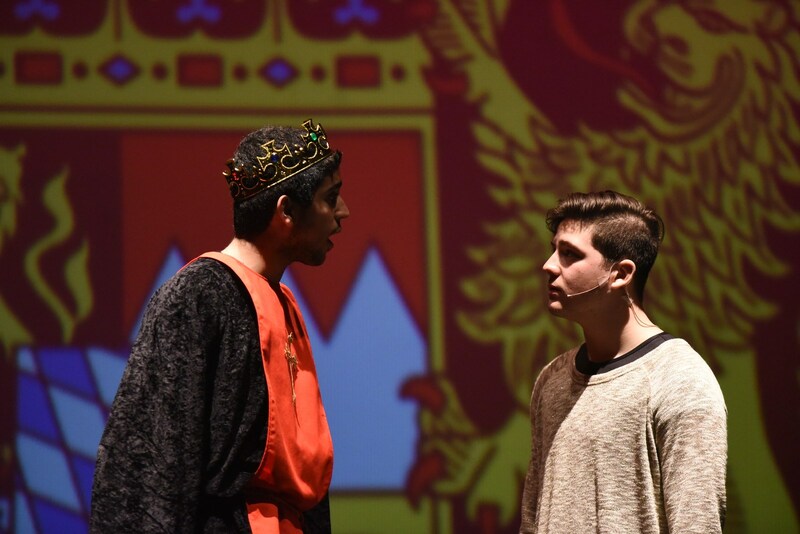 The Fine Arts Department at Bishop McCort put on three wonderful shows on Thursday, Friday, and Saturday. The students have worked so hard and it showed in their performances. 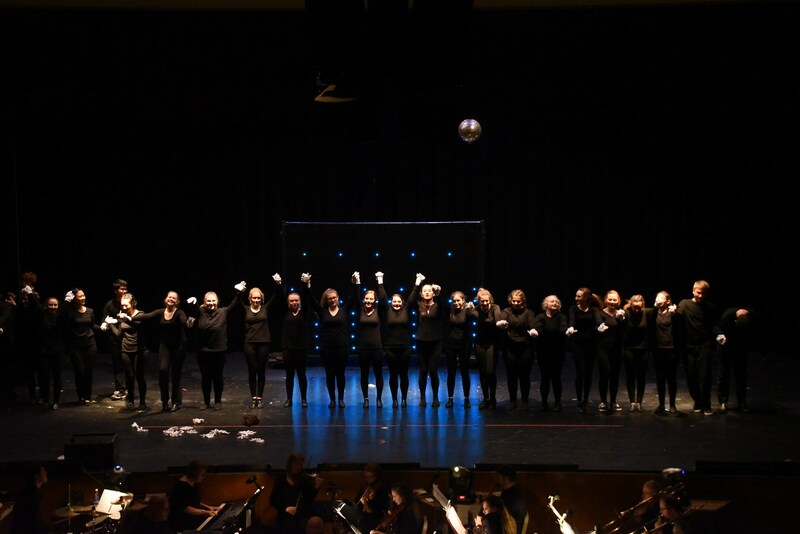 Thank you to all Fiddler on the Roof Cast, Crew, and everyone who helped make this musical come alive. And a special thank you to Mrs. Jeanne Arcurio for everything you do to promote the Arts at Bishop McCort. We can't wait to see your show next year! Tickets can be purchased in the Main Office. Bishop McCort’s Catholic High School and Divine Mercy’s Middle School Orchestra program had several students attend Keystone Orchestra Festival (7th-9th grade) and District Orchestra Festival (10th-12th grade) this year.